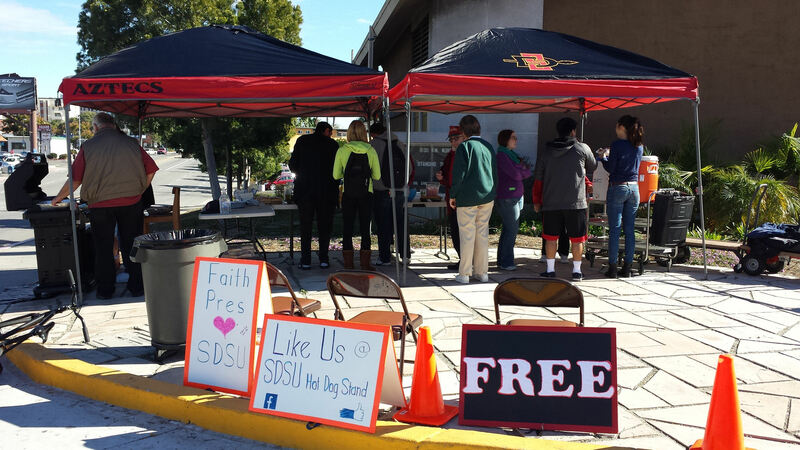 SDSU Outreaches – Hot Dogs during lunch time…Hot Dogs late at night…Morning Coffee during Finals Week…Homemade baked goods! We want to meet our neighbors!! Come join us on the church corner! Partnerships with College Ministries – Faith has created many relationships with a number of college ministries serving at SDSU. Many groups meet at Faith on a weekly basis during the school year. Faith is also committed to bringing the leaders of the ministries together to create unity within the Body of Christ.